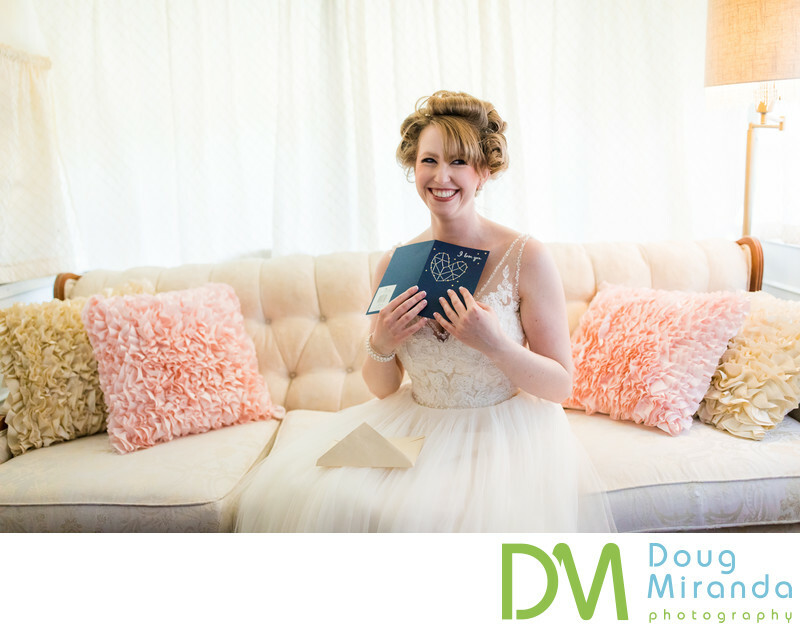 In this picture a bride is reading a love note from her groom before the start of the ceremony. She is smiling from ear to ear with red cheeks after reading what he pined down for her. She's sitting in the bridal getting ready suite at the ranch.